Dance as a hobby is almost like finding a new person inside you. This is a perfect fitness program that one needs to enjoy. Dance as a hobby also instils confidence in you. Dance South West is the regional strategic agency for dance. They bring together a network of partners to enable people in the South West to make, watch and take part in Dance. The Goodyear School of Dancing was founded in 1960, this was later renamed The Bath Dancentre. Classes took place in the Forum, above the Bath City Free Church until 1997 when the owners decided not to renew the lease. Paula and her associates now teach in various locations in and around the Bath area. In addition Paula started as the University of Bath Ballroom and Latin Dance Club’s coach in 1987 and has helped the University team rise steadily up the rankings, they were ranked 5th in the UK in 2008 and again in 2009. Run a variety of adult dance classes within easy reach of Bath city centre. The classes are open to people of all ages and abilities and cover themed dance classes, Hip Hop/Street, Street Dance for beginners Ballet and Pilates. Poledancingbath.com has been going since July 2008 providing Pole Dance lessons at various venues in Bath. With regular 6 week courses, FREE taster sessions, monthly pole jams & occasional parties. Alice, Pole Dancing Bath’s main instructor is totally smitten with pole dancing and really enjoys many hours spent practising on the pole especially with her pole pals. Whatever your background you bring it with you to the pole, ballerinas & gymnasts both make great pole dancers but with very different styles. Club XL : 3 Salsa teachers and 3 simultaneous classes at one of the biggest venues for Salsa in the South West, with a spacious wooden floor and air conditioning. Huge choice over what level of class to go to. No need to bring a partner, no need to book, start any week. Revolution: Ultra smart city centre venue with a wall to wall wooden floor and air conditioning. Complete beginners from 8pm and a very friendly atmosphere. Complete beginners class is with Mark with over 10 years experience of teaching beginners in clear and relaxed way, two left feet not a problem! 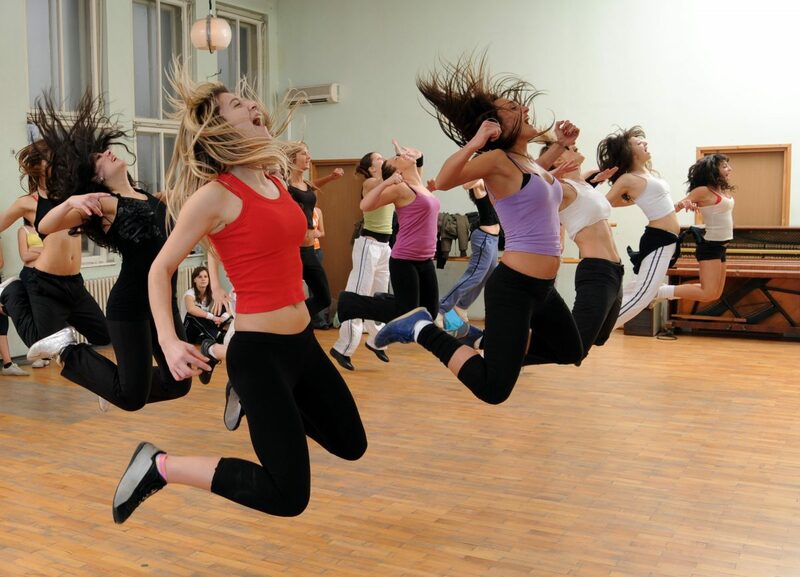 “Cloud9 dance classes are fun and sociable. Modern Jive is very quick and easy to learn and is a great way to meet new people, have fun and keep fit. There is no set course so you can just turn up any week. There is no need to bring a partner and even if you claim to have two left feet, we will have you up and dancing in no time.